Boca Rio Lounge Set in comfortable lightweight pique, to make the living easy. 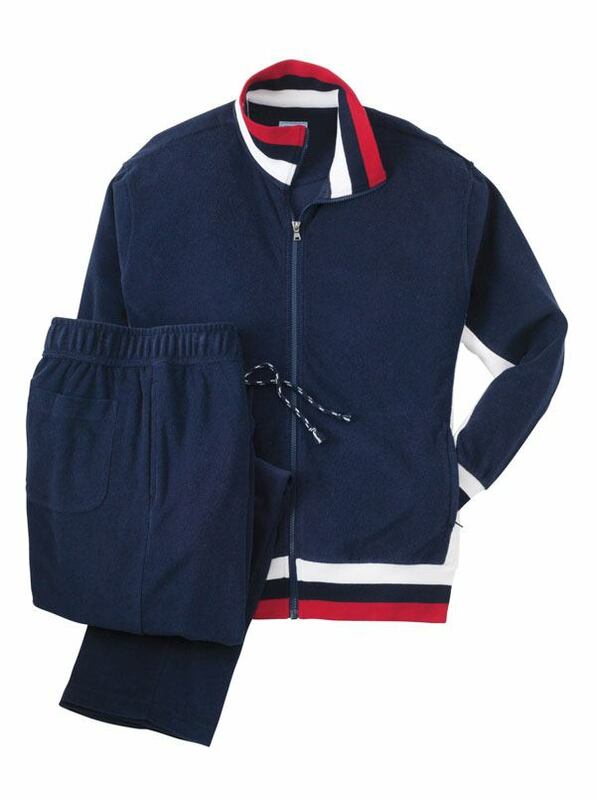 Full-zip top has raglan shoulders, knit cuffs and waist, 2 pockets. Drawstring pants have 3 pockets, zip fly, open bottoms. 93% cotton/7% polyester. Imported.